NEW! Saved properties can now be accessed from the web! Changes to improve battery performance. NEW! View BoxBeacons from your Android devices! BoxBeacon makes it easy for interested buyers to quickly access full information about a property listing and keep up-to-date with the latest information on the property using the convenience of their smartphone. BoxBeacon comes fully configured, just put it on your sign or use a BoxBeacon info box. Buyers receive full property listing information and any future updates you make automatically! The BoxBeacon Real Estate app is completely free. BoxBeacons are reusable. Forget printing out new flyers for every small change or new listing. Attach a BoxBeacon to your sign or use a BoxBeacon flyer box. As buyers drive by with the BoxBeacon app, they will pick up the BoxBeacon signal. Login and see how many people have looked at your listing. Make sure your listing is kept fresh. Customers will receive a new info indicator if updates to the property listing are made. iBeacon™ is Apple's trademarked version of the Bluetooth-based beacon concept, which allows Bluetooth devices to broadcast unique identifying information within a ~70 meter (220 feet) range. Non-Apple devices can read iBeacons and non-iBeacons can transmit in the same fashion as iBeacons. BoxBeacon never costs the buyers anything. The BoxBeacon app is completely free. During our Beta testing period, all listing agents who participate will be supplied with a BoxBeacon for free and they will have BoxBeacon admin access as long as they own the account. Each additional BoxBeacon is only $9.99. For full pricing information, please see our pricing plans. I have my own beacon. Can I use it on your system? Of course! A beacon is a beacon is a beacon to us as long as it is set to broadcast the proper ID, 626F7862-6561-636F-6E2E-636F6D072603. Just drop us an email and we will make sure to get everything configured with your account. How close does a user need to be for their smart phone to detect a BoxBeacon? A smart device with Bluetooth 4.0 technology will detect the beacon from about ~150-200 feet away in most cases. The majority of beacon devices can transmit further but with decreased battery life. Do all smart phones work with BoxBeacon? A smart phone must have Bluetooth 4.0 Technology in order to be compatible with the beacons. This technology is standard on most new smart phones. What type of information does BoxBeacon display? 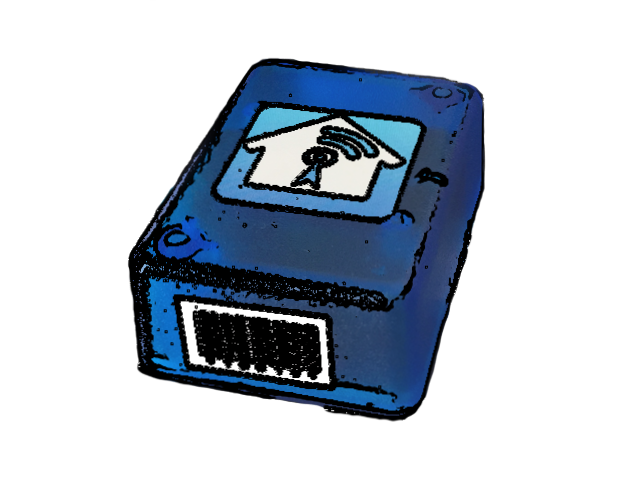 A BoxBeacon can display a wealth of information about a property listing. You can include details about the property itself (address, price, room specs, features, etc), contact information for the listing agent, and full photos of the interior of the home. Include everything you can think of to educate the buyer about the property and get them excited about it. BoxBeacon didn't meet my needs. What do I do with this beacon now? We want to meet your needs, let us know where we are lacking and hopefully we can work something out. As far as the beacon goes - if you own it, you own it. We can try to help you reprogram it for some other application (normally a few small steps) or in many cases if you no longer want it, we will make an offer to purchase it from you. Want to talk to someone? Do you have an unanswered question?